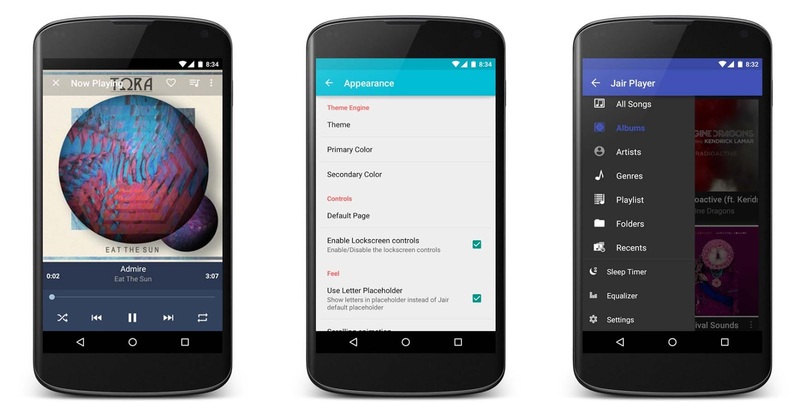 Do you wish you could get Google’s gorgeous new “Material Design” or its Animation on your Android device? Well, we got you covered with this beautiful application. There are many people who already using Lollipop by the blessings of a Nexus device but, for those who didn't got the update or using other smartphones, you'll be happy to know that a gorgeous new app called Jair Player. And yes it is prettier than Google's official Play Music. A member of the XDA Developer forum has created a new music player app that includes features like album title, artists, genre and playlist sorting. More importantly, of course, it follows the Google’s new design guidelines Material Design. 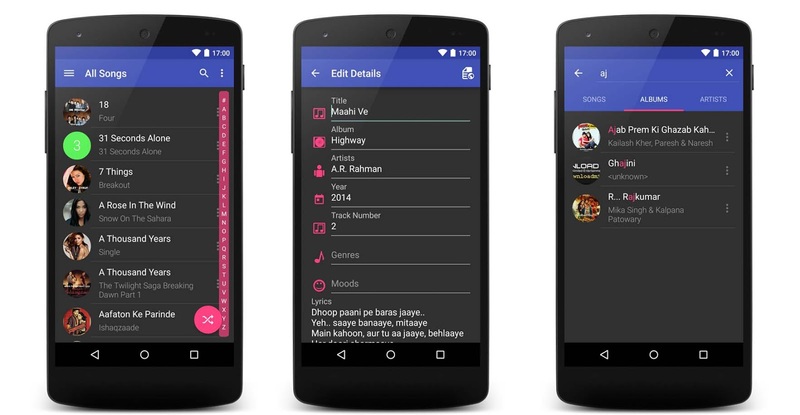 Besides the Material Design elements seen in the interface, Jair Player also supports Gapless Playback, individual equalizer presets down to a song, Lyrics fetching, folder browsing, scrobbling and other features, you can also edit meta tags and rename the song details. There is no need to download extra tagger applications with this player, it's an small package deal. In addition to that bundle of goodies, Jair Music Player will let you customize the looks or the theme of the application with various colors and you can make your own combination. The developer of this app +Akshay Chordiya is also very serious about it, he listens to every bug and kill it. The biggest thing is that this application is free on the Google Play Store, so you can grab the application from the badge below.